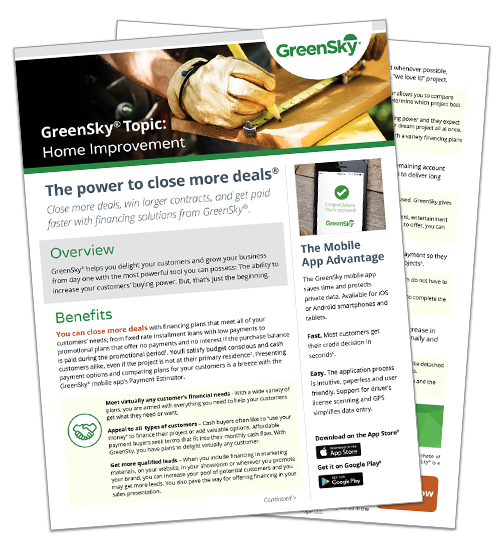 GreenSky® helps you delight your customers and grow your business from day one with the most powerful tool you can possess: The ability to increase your customers’ buying power. But, that’s just the beginning. Find out the Power to Close more deals by downloading today. We are authorized to email you about our products and services if you provide your email address.